Fun Fact: Rats laugh when they are tickled. I wonder how weird the Petco employees would think I am if I told them I wasn’t there to purchase anything. Only to tickle their rats. Think they’d let me, or call security? Maybe I just need to take a trip to NYC. At least I found a new goal to accomplish in November. They are kinda cute, right? Maybe a little bit? Not when they are taking over your bin store when you have to go and put your garbage. Yeah, that’s pretty gross lol. I used to go there and stare at the crickets. You know, the ones they sell as live reptile grub? If we were both in Petco at the same time they wouldn’t know who to kick out first! That would be hilarious. I would love to see the looks on their faces. Haha, be sure to let me know how it goes 🙂 I like to talk to the fish. I’ve always had an aquarium obsession. That’s an awesome story. I’m glad you shared it. I’ve been in a similar mental state, and could see how being in that situation had an impact on you. I love fish. They are so serene.Those people need to be more careful with what they leave behind. It’s karma – the fish helped me and vice versa. there is actually a famous cantate (in German) called “the fish.” It goes something like, fish don’t badmouth people, fish don’t talk about others behind their backs, why don’t we all just do as the fish and be quiet, and drink. I thought they were cute… Once until one ran up my arm and face taking my trashcan to the road. They are cute… At least the domesticated ones 🙂 I once had three rats and they are adorable and entertaining! Lol yeah I totally agree. We had an issue with them and still do on occasion. I love all furries! As long as we have an understanding that the house is mine and you can stay in the yard. Haha, that’s a great mental picture. Who knew so many people would have rat-stories and rat-opinions?? I think rats are cute one or two at a time – in swarms they’re a little scary. I like rats. They’re full of character. Also, I like pronouncing rats in the same way Claudia from Interview With The Vampire does. Use your entire face to say it, “rats”. Love it. Pet rats are adorable. The sooner you learn to believe that statement, the happier your life will be. Hi, by the way. I’m temporarily stalking your blog. 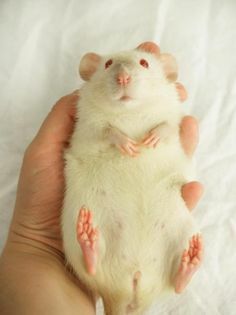 That is a cute rat. I’ll have to try that. Do a search on “extremely deadly rat trap”. Red Dog Garage will come up number 1 in Google. My claim to fame. There are either a lot of rat infestation or psychotic rat killers in the world. 🙂 Rats are not popular according to my stats on this single post. Not sure about the cute factor of rats, but guinea pigs are pretty damn cute and they are a cousin of the rodents! We have two girl pigs, went on holidays and they were babysat. Last week we woke to four new little guinea piglet babies! Apparently while we were away there’d been an “accident” in the back seat of the car! Hmmmm, I feel a post coming! Surprise! I’ve always loved the sound Guinea pigs make lol.